Dermatology & Skin Surgery (Fayetteville) - Book Appointment Online! 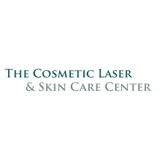 Our goal is to provide you with the highest quality skin care and laser treatments available today. At our office in Fayetteville, Georgia, all services are performed by either Dr. Slagel, a board-certified dermatologist, or under his supervision by highly trained physician assistants. In addition, a licensed Cosmetic Aesthetician is available for specialized procedures. I have been to several medical facilities and I must say this has been one of the best experiences I’ve had in a while. Everyone is extremely polite and kind! waiting room was a little long but i found Dr. Slagel very nice,professiable,knowledgable,and put me at ease. I will definately be back to see him. wonderful doctor!